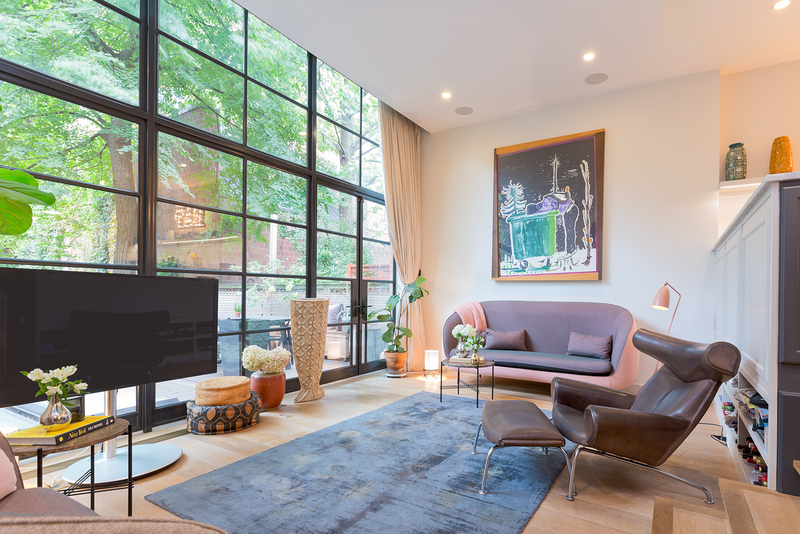 Offered at $11,000,000, this 21-foot wide townhome in West Chelsea features mid-century and Danish interior design in addition to five bedrooms including a guest suite on the garden floor. A rare front garden offers a sense of privacy. Be sure to stop by this Sunday afternoon for a tour of this quiet oasis near the Highline, Chelsea’s famous art galleries and top-of-the-line restaurants!